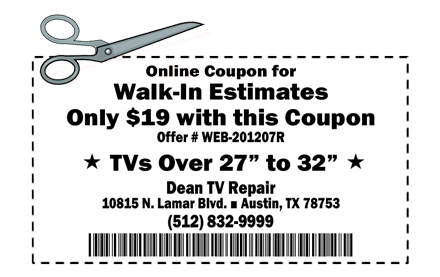 We're so confident you'll become a repeat customer that Dean TV Repair offers these online specials. Call (512) 832-9999 and mention this ad to schedule a $49 in-home service estimate. 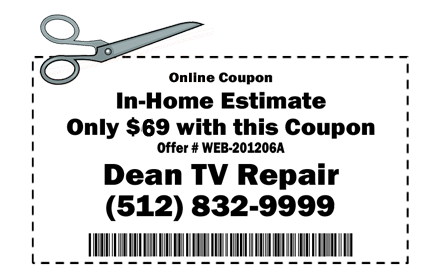 If you choose to proceed with service, we can often repair your set the same day. 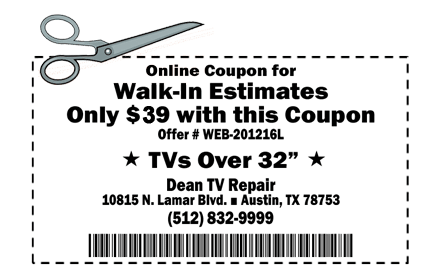 Visit our service center to receive a $29 estimate for TVs over 32". 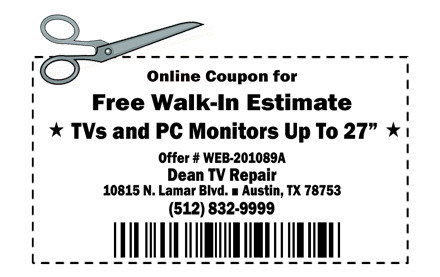 Visit our service center to receive a $19 estimate for TVs over 27" to 32". Visit our service center for a free walk-in estimate for TVs and PC monitors up to 27".